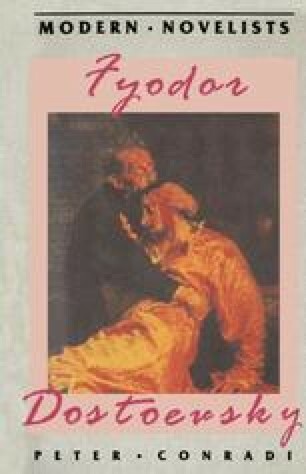 The Idiot caused Dostoevsky more trouble than his other major novels. He wrote some seven drafts, which differ wildly in their plottings, and feared, after finishing, that he had expressed only a fraction of what he intended. The notoriously hard task he set himself was to depict a good man, and the question of success, in Dostoevsky’s mind, was linked to the question of the comic. Both Don Quixote and Dickens’s Mr Pickwick haunted the composition, and he noted that these figures are good only because they are ridiculous at the same time. Despite his fears, he did produce that ‘pity aroused for the Good which is mocked and does not know its own value’ (Letters, January 1868). Like all his great books, The Idiot is a flawed masterpiece, the best scenes of which have an unforgettable immediacy unavailable to more ‘perfect’ stylists. And the reader’s sympathy, as in any good novel, is divided and mobilised on behalf of a number of characters.